Hey guys! 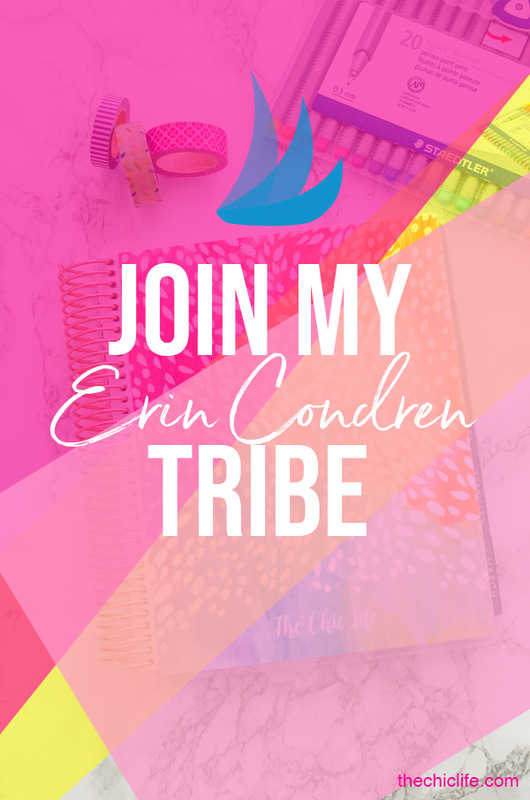 If any of you happen to be both Erin Condren fans and interested in promoting your EC content on Pinterest, I wanted to let you know that I’ve started an Erin Condren Lovers Tribe on Tailwind, and I’d love for you to join. No Tailwind account? No problemo! You can get one month of the plus plan free with the above link. I’m not an affiliate, but this is a referral link, which will also get me a free month. Win-win! You guys know I love that. Love EC But Not on Tailwind? I’ve got you covered too, boo! I also made a non-Tailwind EC Lovers Tribe of sorts. I’ve been pinning up a storm over on Pinterest, and I have some great stuff queued up (scheduled) thanks to Tailwind. And if you’re not on Pinterest, here’s a link to my main Planner page where you can get to the rest of my planner content and planner-related blog posts. Hi Claudine, SO sorry for the delayed response. I somehow missed your comment until just now. They do not bleed through, but I can see them a little bit. If you write normally, it will be pretty faint. If you are using the pen to color a section (like you’re doing bubble wording or something where you go back and forth a lot), it will be more noticeable. It’s never been anything that bothered me greatly, so I’m still happy with the pens. Hope this helps! And thank you so much for checking out my blog, YouTube, and IG posts! 🙂 Please let me know if you have any follow up questions. Cheers!